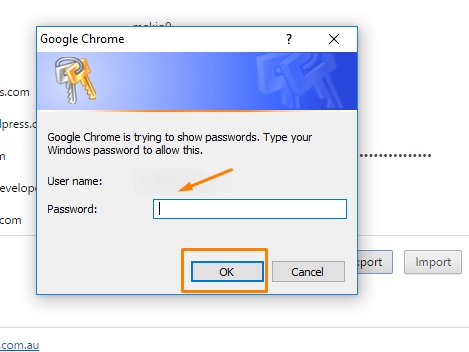 Import And Export Passwords In Chrome Browser: Needless to say, passwords are a really crucial asset. And all of us prefer to save the passwords in browser. It makes things easy if we are someone who always forgets our password. But, it also happens that when trying to log in with another PC or browser, we try to remember the things. So, what if we could import or export our passwords? Yes! 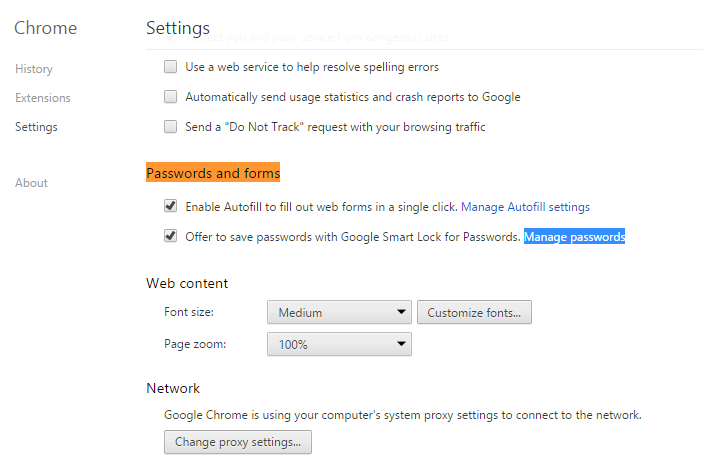 We can import and export our passwords in our Chrome web browser. Here’s how. 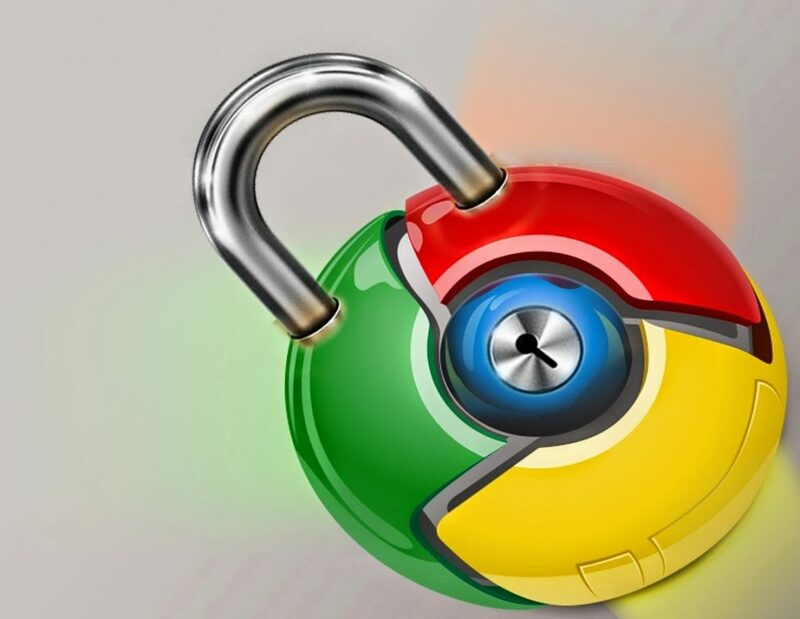 Google Chrome browser allows us to import bookmarks, browsing history, and other settings from Internet Explorer or Firefox browser in a jiffy. But it doesn’t have the option to export or backup stored passwords. 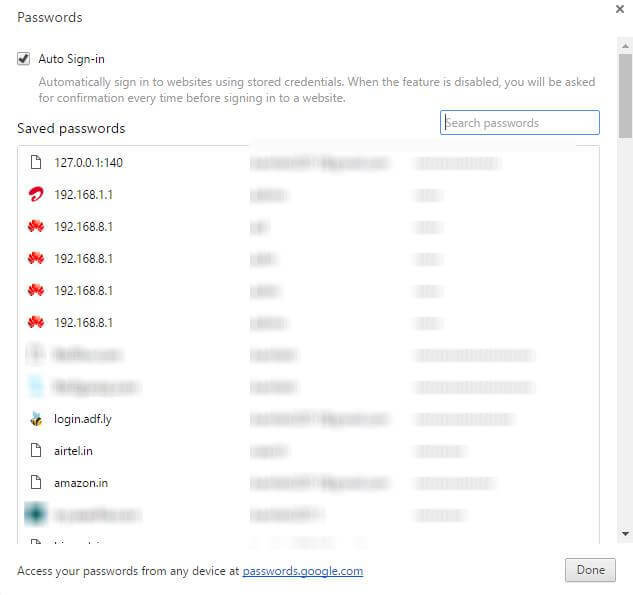 If you are looking for a way to import or export your saved passwords from Google Chrome browser, this newly introduced Import/Export feature can help you. There is no direct option to export / import your saved passwords by default in Chrome – but it can be enabled via Chrome flags. 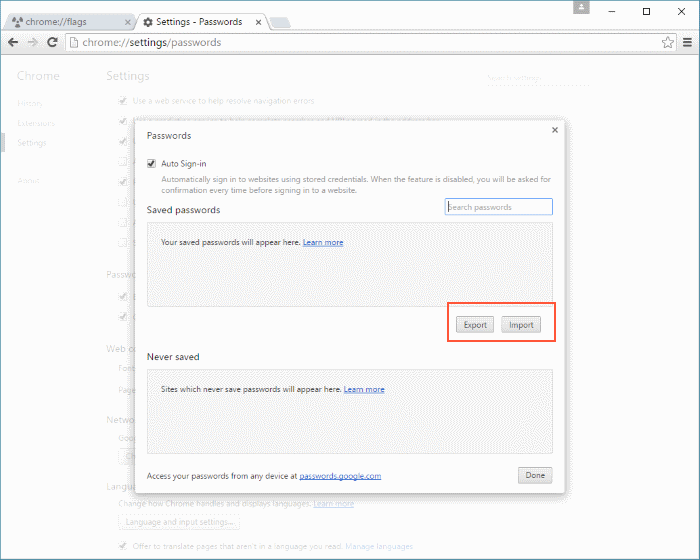 Means, with the help of Chrome flags, we can manage the passwords section in Settings, by enabling a Chrome flag. Please make sure that you’re running the latest version of Chrome browser to get Import/Export option. 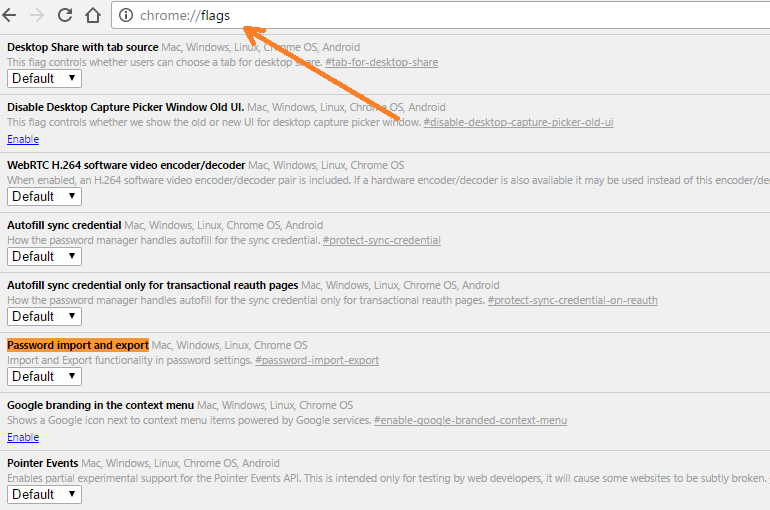 Type “chrome://flags” or “about://flags” in the address bar and hit Enter. Press ‘Ctrl+F’ and search for “password import and export”. The corresponding flag entry will be highlighted. This option is available for all the major desktop OS platforms, Mac, Windows, Linux, Chrome OS. Click on the drop-down menu and choose to enable the option. 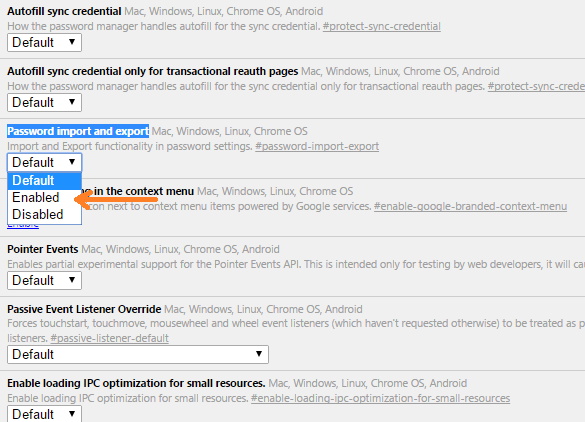 Enabling this flag allows us to directly export or import the saved passwords in Chrome. Now, re-launch your browser to make the changes effective. Click “RELAUNCH NOW” button at the bottom of the browser. 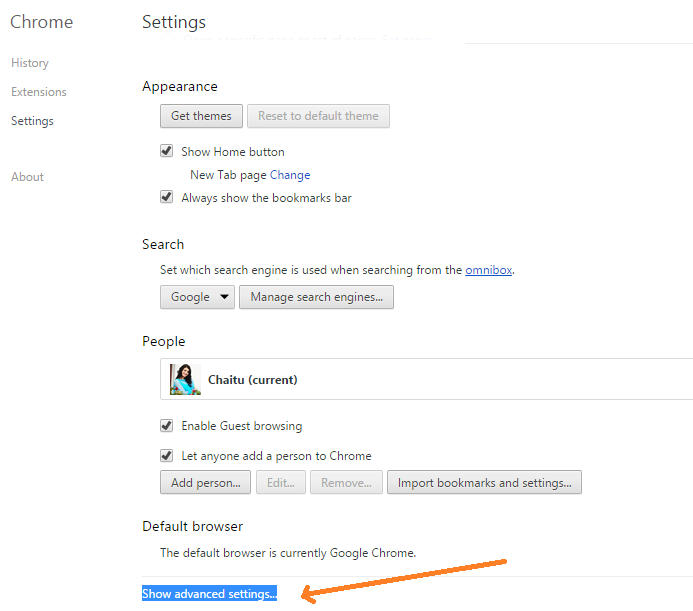 Now navigate to Chrome settings menu by entering chrome://settings in the address bar. Scroll down to the bottom until you can see Show advanced settings and click on the link. Scroll down further through ‘Advanced settings’ and go to the section named Passwords and forms. Click on “Manage passwords” link to administer your saved passwords. A new window will pop up with all your saved passwords. Scroll down through the list (till “Never Saved” section) and look for Export and Import buttons. 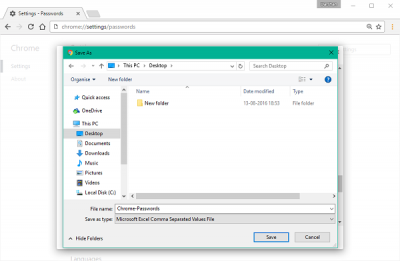 Click on the Export to download all your password entries to your PC. You’ll be now prompted to enter your Windows user account password for authorization. Once Windows account password is entered and validated, you can save your passwords in a CSV (Comma Separated Values) file format on your PC. By opening the CSV file, you can see all saved passwords in text format. The Import button lets you import your saved passwords. Once you have saved the file, you can navigate to the same area in Chrome and click on the ‘Import’ button (in step 7) instead, when you want to import the password data. That is all you need to export and then import the passwords data using the Google Chrome web browser. I never about it before. Thanks for sharing this tips. I’ve created lots of accounts on lots of websites and it becomes impossible to remember all of them. Sometimes, I have to go back to a website that I haven’t touch for a very long time and of course, I forget the password. If I need to copy the password, I would use autofill and then the inspector to reveal it. Thank you for sharing with our readers. Keep visiting our website for more website like this. Thank you for giving these tips and tricks. Now, I can export my old information for later use easily, using the tips provided.